The Algonquin Club will be holding a QSL card sorting session on Thursday August 9th, 7:30 PM at the Marlborough Fire Station. We will be in the classroom/EOC where we hold Field Day. 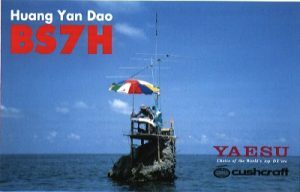 The Bureau receives QSL cards from DXers all over the world, sort them and then send them to the New England area hams. We processed about 100,000 QSL cards each year. To do this, we are grateful for the team of over 40 volunteers and several area clubs that help make this happen. Our Algonquin club is one of the clubs that helps with the presorting step in our process. Our part is easy and fun. You get to see QSL cards from all around the globe. Maybe catch a card that is for you! We will have boxes of cards from the country national organizations that are for W1 call area hams. For our session we will have about 13,000 cards. Our mission is to sort those cards into stacks for each first letter of the call sign suffix. So there will be a stack for all the call signs the a suffix the starts with A and one for those starting with B and so forth. It goes quick especially with lots of people doing it on several separate tables. When we are done, those stacks will be sent to our individual letter sorters who will then sort them by the individual recipient hams. Thank you and hope to see you next month.